If you have a profound love for snowboarding or skiing, there’s no reason why you shouldn’t consider the possibility of going on a heli-ski vacation. This kind of holiday leaves behind chairlift lines and overcrowded runs for the untouched powder of the Rocky Mountains. You’ll get there by helicopter —the only way you’ll reach the remote peaks where the climate creates perfect conditions for maxing out your vertical. On your flight up, you’ll fly over breathtaking views that you’ll experience up close and personal as you cut through untouched powder with your friends. 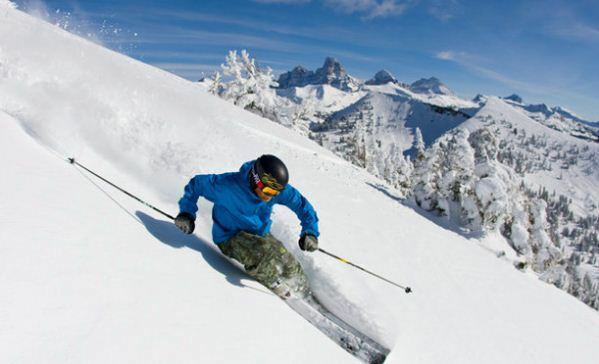 Unlike a ski resort which is usually overcrowded with an abundance of people, not only will the company’s guide locate the best run for you, the skiing experience itself will be uncrowded, untracked, and unhurried. Boutique facilities, such as what you’ll find at Great Canadian lodges, limit the amount of people they take up to the mountains. With a limit of 4 per run, it’s up to you to choose you top three mates before booking your holiday at Canadianheli-skiing.com. Whether it’s hard to narrow down your choices or not, the limited size is to your advantage, as you’ll never have to fight the crowds for your bit of uncut powder. Another major perk that’s associated with the sport is that the terrain for a boutique operation is significantly bigger than any major ski resort you can think of. And on top of being able to conduct a run in an open terrain, what you’ll get is described as being every skier’s dream: deep virgin powder. You’ll only get it and the unlimited vertical you need to conquer it by visiting BC. When it comes to heli-ski operations in certain areas such as Alaska, storms can keep helicopters from flying. However, in certain areas of the Canadian Rockies, heli-ski operations rarely ever stay grounded as a result of the ideal weather conditions. Another thing that’s worth noting about heli-skiing is that you don’t need to be an expert skier or feel intimidated by other skiers of a higher skill. The guide understands there may be a mix of abilities in one group. Therefore, they specifically strive to locate the best runs in respect of the baseline of the group’s ability. Boutique facilities of BC heli skiers will also make their travel packages as flexible as possible to accommodate your schedule best. Speak to your closest friends and figure out what time suits all of your schedules. Book it fast, as you’ll want to beat out all the other skiers and snowboarders who want an adventure of a lifetime in the Rockies.